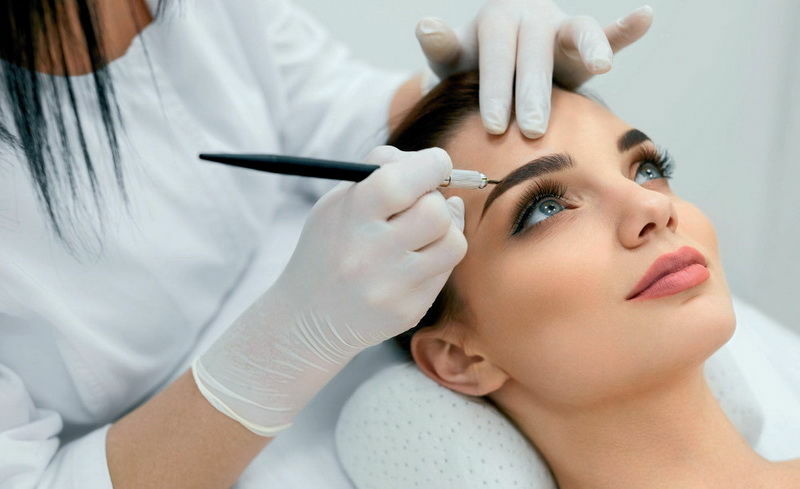 At Specialist Skin & Laser Clinics, our specially trained therapists will professionally shape your brows to give you the perfect size, fit and shape for your face shape. A specialist eyebrow & feathering artist is available in each our clinics. Eyebrow Feathering – by a Specialist Feathering Artist! Unlike the harsh block tattooing of the past microblading looks completely natural because it mimics the real eyebrow hair and can be individually customised. Depending on your needs, brows can be finely coloured or completely remodelled as each new strand is created and coloured by hand. Microblading is a semi-permanent makeup procedure that allows the reconstructing of full eyebrows. Eyebrow microblading is performed by a manual metal hand tool with a fine needle and is used to create fine hair-like stroke. Minor brakeage of the skin will take place to allow a hypo-allergenic pigment to be deposited into the epidermal layer of the skin, which will generally last up to 3, 6 or 12 months. Brows are one of the most important features on your face. Brows show strength of character, personality and beauty. Properly groomed eyebrows hold more power and visual impact on overall facial appearance than any other singular feature. The eyebrows frame the eyes and the face so they are utterly important. They alter a person’s appearance significantly with the slightest change. Once properly shaped to suit someone’s face they carry a real sense of beauty. Eyebrow tinting is a great way to complement your eyebrow shape. Our therapists will match your eyebrow colour by tinting your eyebrows using a semi-permanent tint. At Specialist Skin & Laser Clinics, our specially trained eyebrow artist will professionally shape your brows to give you the perfect size, fit and shape for your face shape. Eyelash tinting is the perfect, low maintenance way to rock beautifully natural yet dramatic lashes. Perfect for a day at the beach, lash tinting avoids mascara smudging and running, so you can relax and feel gorgeous in the sun. A quick treatment with instantly amazing results. Eyelash tinting will quickly become a favourite for anyone with a busy schedule and active lifestyle.